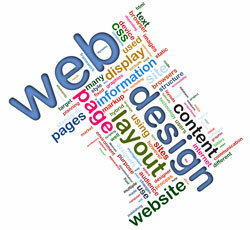 Website Development involves all facets of building a business website that is fit-for-purpose. Websites should be informative and interactive. If you don’t capture the imagination of your website visitors within a few seconds they are gone (to your competitors). A great website design, with good content, video and simple common sense delivery of information is what’s required to convert website visitors into customers $$$. Contact SEO Caboolture today to discuss your new effective website or to make significant improvements to your existing website and start making more money with less effort! We specialise in web design for businesses in the Caboolture, Morayfield and Burpengary areas but also work with national businesses Australia wide. region have purchased goods online? Is your business taking advantage of this ongoing and ever increasing trend of online product research and eCommerce? Professional, modern image – stand out in the crowd. Be open 24hrs a day, 7 days a week. Broaden your customer base and reach through increasing online trends. Prospects and customers can research your products and services anytime.